The Times dubbed David ‘the national children’s dramatist’. Original plays include The Gingerbread Man, The Selfish Shellfish and Save the Human, all directed by him and toured by his Whirligig Theatre. Adaptations include eight Roald Dahl stories, Philippa Pearce’s Tom’s Midnight Garden, the Olivier Award-winning Goodnight Mister Tom (from Michelle Magorian’s novel) and Olivier nominee The Tiger who came to Tea (from Judith Kerr’s classic picture book). He also writes children’s books and tells his stories in schools and theatres. 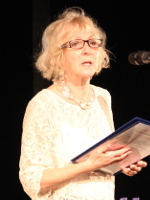 Vicky is a freelance Children’s Theatre director and writer who joined the first TIE team at the Belgrade Theatre, Coventry, and worked as an actress in many Reps. She presented the BBC’s Words and Pictures for twelve years, created children’s plays at Regent’s Park Theatre and was Artistic Director of Polka Theatre, Wimbledon, for fourteen years. She is currently Co-Artistic Director of A Thousand Cranes Theatre and a guest Director at various drama schools. 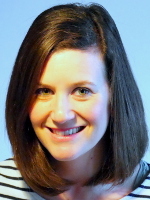 Vicky has ten published plays, is a BAFTA-nominated BBC TV writer and has represented UK children’s theatre all around the world. She is a patron of Polka Theatre, an Honorary Member of TYA-UK, and an Honorary Member of the World Children’s Theatre Association, ASSITEJ, only the second such honour to be given to a UK citizen. 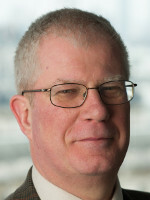 John is a Fellow of the Chartered Association of Certified Accountants. 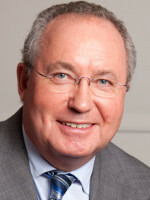 He worked for 25 years in the international oil and gas business where his final post was Vice President of Mobil Europe Gas Inc, based in The Hague. After retiring from Mobil, John became CEO of Sparks, the children’s medical research charity. During his tenure, Sparks was responsible for a number of important medical breakthroughs and an increase in income. John has a Master’s degree in Charity Resource Management and is a Full Certificated Member of The Institute of Fundraising. John is learning to play the piano (currently studying ABRSM Grade 4) and secretly aspires to be a playwright. Dr Chris Abbott is Emeritus Reader at King’s College London. He taught in special and mainstream schools for more than 20 years, ran the Inner London Educational Computing Centre, and was then at KCL for 20 years. 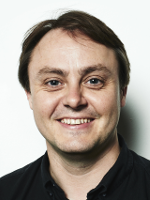 He is the Founding Editor of the Journal of Assistive Technologies, Honorary Archivist for Ambassador Theatre Group and Co-convenor of the Popular Performance group at the Theatre & Performance Research Association. He is the author of books and papers about puppet theatre and pantomime, and he writes articles and reviews for Sardines theatre magazine. Janna is Head of Creative Learning at Polka Theatre, one of the few UK venues dedicated to producing and presenting work solely for children. Before coming to London in 2004, Janna worked for Sibikwa Arts Centre in Benoni, Johannesburg, South Africa. She worked as a freelance practitioner before joining Polka’s Education department in 2005. Janna volunteered for the charity Fun for Life in 2008 and 2009 working as a drama practitioner for abandoned children at MDM Children’s Village in Tamil Nadu, South India. Janna recently qualified as counsellor for school children and has a PGDip (BACP accredited) from the University of East London through Place2Be, a mental health charity for children. 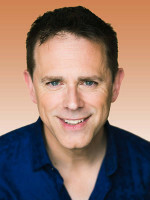 Chris Jarvis has worked on Children’s BBC television since 1993 devising, writing and hosting many shows from teen magazines to sketch shows. 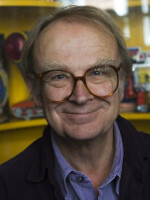 Since 2002 he has been part of CBeebies, the BBC’s pre-school empire, hosting Show Me Show Me often billed as “the great-grandchild of Play School.” He co-devised the BAFTA and RTS winning Old Jack’s Boat, a storytelling show starring the master of the craft, Bernard Cribbins who was honoured last year by the ACA with the JM Barrie award. He also writes, directs and appears in pantomimes for TV and stage. David is an actor, theatre director and writer whose stage appearances include numerous classical and modern roles. 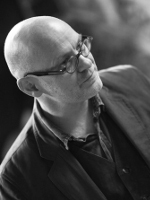 He has also worked on Theatre in Education productions and led drama workshops in schools. 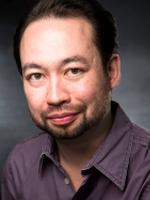 He is an Artistic Associate of Yellow Earth Theatre, teaching regularly on the company’s Yellow Earth Academy training initiative for young British East Asian actors, and is a passionate advocate of diversity on stage and screen. David maintains a parallel career in healthcare management, which has given him a special interest in links between mental health and the arts. James is the award winning creator of the Katie books, introducing children to famous works of art for over 25 years. He has also written and illustrated the Ella Bella Ballerina books and many other titles. Alongside his work in publishing, James also presents classical concerts for children, during which he paints illustrations live on stage in time to the music. He has worked with many great musicians and orchestras of this project. A passionate advocate of art, music and culture for children, James is in demand internationally as a speaker and educator, and is a regular visitor to both literary and music festivals. 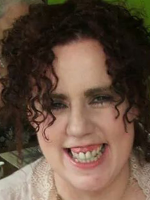 Grainne is the Chief Executive and founding Artistic Director of Sticky Fingers Arts in Northern Ireland, which was the first dedicated arts organisation for the early years in NI. She has been involved in the children’s arts sector for over 15 years and is the Small size –(European Network For The Diffusion Of Performing Arts for early childhood) partner for Northern Ireland. She is an active campaigner for children rights and has pioneered a number of initiatives to change policy within Northern Ireland. 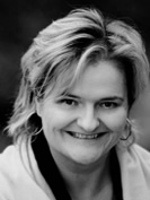 Janet is the Creative Director of Youth Music Theatre Scotland based at macrobert in Stirling. 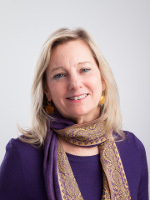 She has worked as a music and theatre education practitioner for more than 20 years with companies including Scottish Opera, Ambassador Theatre Group, National Youth Music Theatre, the Really Useful Group and the BBC. 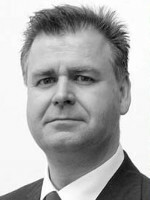 Philip is Director of Arts & Business. He has advised businesses ranging from American Express in New York to Deutsche Bank in London and Samsung in Seoul and he has helped arts organisations across the UK. He is on the management committee of the Charity Tax Group and has advised the Treasury, amongst others, on tax efficient giving. 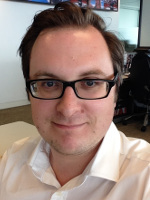 James is a Senior Communications Manager at HSBC, where he is responsible for global employee insight. Previously he was a Senior Associate in Korn/Ferry’s Board Services practice, advising boards of private and non-profit organisations on good governance and board effectiveness. Susan is the founding director of Mousetrap Theatre Projects, a theatre education charity dedicated to creating opportunities for disadvantaged young people and young people with special needs to attend outstanding theatre across London. In addition to being on the Board of Action for Children’s Arts, Susan chairs the John Lyon’s Charity, which gives out £10.5 million for disadvantaged young people in the nine boroughs from the City of London to Harrow, is a Governor of Harrow School, an Advisory Board Member of Facing History and Ourselves, an organisation which teaches teachers how to engage their students in discussions of racism, prejudice and anti-Semitism and is a past Chair of Democrats Abroad UK.